In an October 31, 2014 decision, the Massachusetts Appeals Court, upheld a Family Court’s ruling of awarding primary physical custody to the father, despite the fact the father had engaged in a pattern of past abuse towards the mother. In Massachusetts, if there is a finding by a preponderance of the evidence that a pattern or serious incident of abuse has occurred, it shall create a rebuttable presumption that it is not in the best interests of the child to be placed in sole custody, shared legal custody or shared physical custody with the abusive parent. The statue requires the Court “consider evidence of past or present abuse toward a parent or child as a factor contrary to the best interest of the child” when issuing any temporary or permanent custody order: Maalouf v. Saliba, 54 Mass. App. Ct. 547, 549 (2002); Care & Protection of Lillith, 61 Mass. App. Ct. 132, 142 (2004). Preponderance of the evidence: this term denotes the legal standard by which a threshold showing of evidentiary principles is met. The threshold showing would require the standard of more likely than not, that the proposed fact is proven. 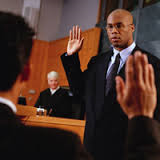 It is often compared the “probable cause” standard, seen in criminal law. Rebuttable presumption: this term denotes that a presumption for a certain finding may be allowed, but it may be rebutted by the presentment of another factor. In this case, the trial Judge found that there was a pattern of abuse by the father against the mother within the meaning of G.L.c. 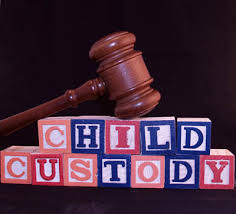 208, §31A, which gave rise to the statutory presumption, the Judge nonetheless concluded that the father had rebutted the presumption that it was not in the children’s best interests to be in his primary physical custody. The Judge predicated his decision upon the careful consideration of, among other things, the children’s antagonism toward, and alienation from, the mother; the mother’s inability to control or discipline the children; the potential for violence between the mother and the children if the mother were to have primary physical custody of the children; and the children’s feelings of safety when they were with the father. One of the mother’s allegation which was brought forward through the use of her presented expert, was that the sudden change in the children’s behavior and their hostile and disrespectful treatment of the mother, was due to the father’s brainwashing” of the children. The mother’s expert went in so far as to recommend that the mother have sole physical and legal custody of the children, with the father only have supervised parenting time with the children. The Court rejected any such proposition by the mother’s expert, finding that there was no credible evidence that the children’s disobedience of and alienation from the mother was caused by the father. To the contrary, the judge found that the father supported the mother, instructed the children to behave and obey the mother, and did not undermine the mother’s role as a parent. The Court pointed as the basis for such decision, the evidence adduced at trial, including the testimony of a G.A.L., who had conducted a lengthy and detailed investigation, which the Court also found “impartial”, unlike the mother’s expert. Inherent in Family Law is the dogmatic principle of balancing of the equities presented by the parties, along with the fundamental principles by which, ideally and pragmatically, equal the balancing of the best interest of the child in applying the equities of the former. Making such determinations is no easy task for the Court, and more importantly it cannot be done, absent the careful, cogent, and comprehensive presentation of admissible evidence by the attorneys. The Law Office of George N. Papachristos , having conducted trials in front of Juries and Judges, throughout the years, has an intimate knowledge of the value, relevancy and admissibility of evidence that is required to be presented in a case. That skill is an invaluable asset required in any legal matter.